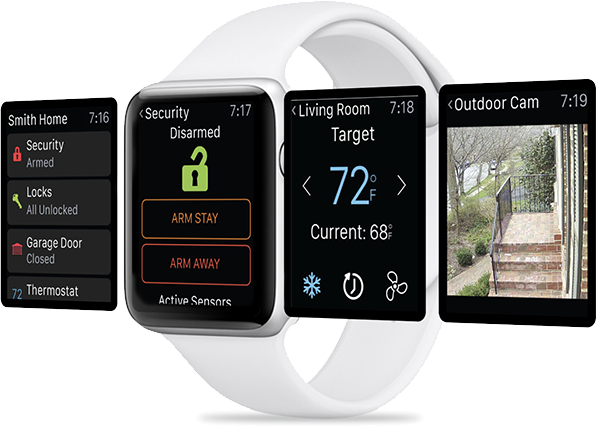 The mySafeTouch app makes it easy to manage your home security system with everything connected into a single interface. 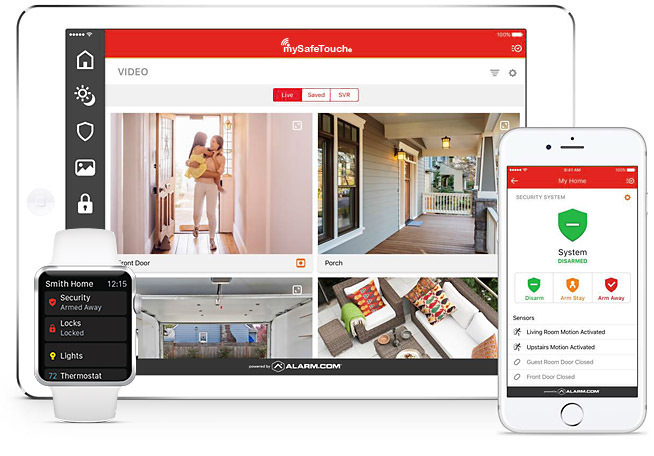 The mySafeTouch app makes it easy to manage your home security system or monitor your business security system with everything connected into a single, intuitive interface. See what's happening on your property and in your house. Watch live video and recorded clips from your security cameras. Turn on or off lights while you are away so you never come home to a dark house. Get weather alerts and real-time forecasts for your area. Download or update the mySafeTouch app free from the iTunes App Store or Google Play.